What Happened With Con? What Did I Miss? It's been year last time I follwoed the game due to game's lags. Everyone say Con left the game completely. What's going on? 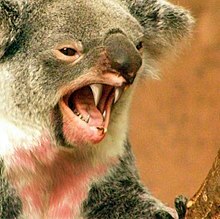 Drop bears dude very dangerous. there was a change made to the browsers rendering engine that forced the game to play in software rendered mode instead of hardware acceleration. this caused horrible lag during gameplay. this has happened step by step over 2018 forcing players to switch browsers to maintain smooth gameplay, most ending up using Firefox, then just before Christmas even Firefox became problematic for users with Windows 10.
may I draw your attention to the poem by Rudyard Kipling, "If"
That bear looks really bored. Edited by Lana Woo, 13 January 2019 - 05:33 PM. I see.. I guess Con is very busy lately creating a new engine (Standalone game?) to support his game. But based on that gif, it doesnt look like Dead Zone at all as it seems solo play in topdown formula. I will miss TLS:DZ if it's not coming as standalone game.